At C H Roofing, we specialise in the supply of a wide range of roofing products including new roof installation with a range of classic or contemporary tiling, chimney work, pointing and cladding as well as guttering and fascias. Experts in our trade, we offer roofing design and installation for commercial and domestic roofing and our roofing options cater for all types of flat and pitch roofs. We offer professional roofing in Warminster, Salisbury, Bath, Frome and across the Wylye Valley including Norton Bavant, Bishopstrow, Knook, Upton Lovell, Codford, Steeple Langford, Stapleford, South Newton, Great Wishford, Heytesbury, Shrewton, Chitterne and Wilton. There’s nothing more important in life than to have a good, sound roof over your head, which is why we at CH Roofing are dedicated to providing a wide range of roofing services for residential and commercial clients in the city of Bath and across the county of Wiltshire. Our team have the skills and experience to complete any roof repairs, roof inspections and surveys, or new roof installations efficiently and at highly competitive prices. No job is too big or too small. It is rare (except in the case of flat roofs) that a damaged, worn or faulty roof will need completely replacing, but in the unlikely event that a survey reveals that replacement is the only option we are fully qualified, equipped and insured to carry out a major re-roofing project. If your existing roof is faulty and leaking we can identify the problems and make guaranteed repairs and roof refurbishment. 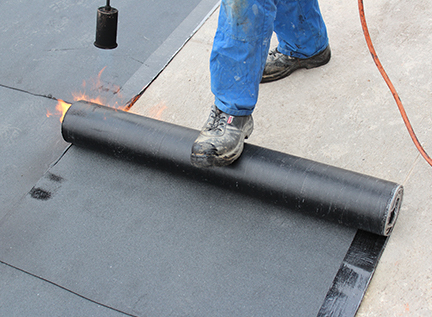 There are a range of flat roofing technologies available, from the traditional felt and bitumen roofs to the more successful and durable modern EPDM rubber roofing or GRP fibreglass roofs. 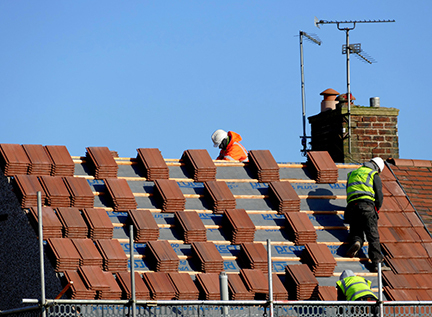 CH Roofing are experienced at all the options, and if you need your flat roof repaired or replaced, or have a new flat roof to install (perhaps on a home extension) we will be happy to advise on the best method and carry out the work quickly, cleanly and competently. Regular checks of your roof (which we advise you or a professional carry out) may reveal cracked or missing tiles. It is also common for tiles to come loose during heavy storms or extreme weather. If roof tiles become damaged or detached, they should be replaced as soon as possible before the underlying roof structure becomes damp. CH Roofing has a professional team of tilers who will replace broken or missing tiles with matching ones, or neatly and deftly tile a new roof. Lead sheets have been used to seal roofs since Roman times, and the soft, malleable, resilient metal remains the material of choice for roof flashings and decorative work. Leadwork on roofs can stay watertight and weatherproof for many decades. CH Roofing are specialists in roof leadwork, and are adept at repairing degraded and damaged leadwork on old roofs. Keeping the gutters, fascias and soffits – the finishing touches on your roof – in good repair is not only necessary to keep your property looking good, but also vital to keep your roof’s internal structure dry, and the roof itself functioning efficiently. If your roof trimmings are looking the worse for wear, CH Roofing will replace them to prevent more costly problems developing down the line. Being at the top of our trade, the CH Roofing team are qualified and competent to carry out roof condition surveys and inspections in and around Bath, and issue detailed roof reports, for both residential and commercial properties. We have also invested in the technology to enable us to offer affordable professional aerial roof surveys which produce high definition detailed images of even the most convoluted roofs, enabling the identification of problems and the planning of roofing projects. Our friendly, efficient, professional roofing team provides cost effective solutions for all your roofing needs. Whether it’s a new roof installation, a roof repair or a roof maintenance project, we pride ourselves on quality workmanship.